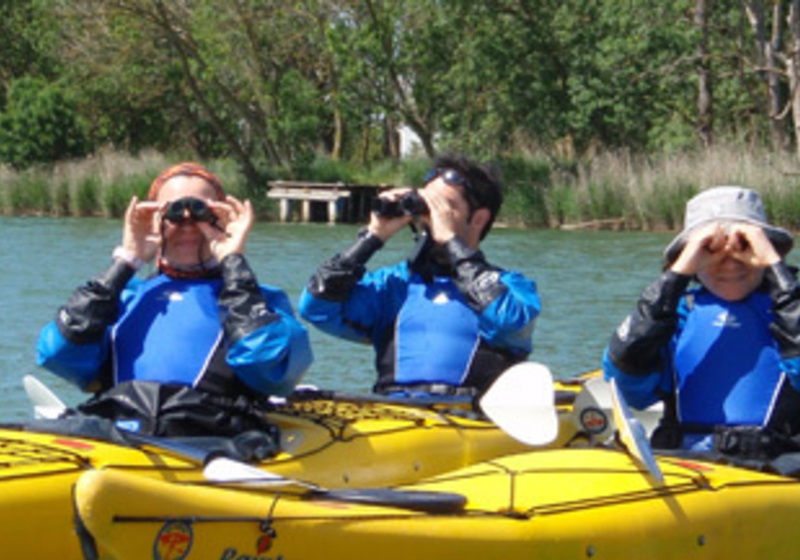 We will depart from the yacht club of Sant Pere Pescador to navigate through the stretch of the River Fluvia, passing by the Integral Reserve of Aiguamolls del Empordà and the island of Caramany until we reach the river mouth. You will observe and identify various bird species typical for this area with the help of index cards. It was never easier to observe the aquatic birds. Our way of observation them from the river allows you to discover more species since it will open up a broader view of a landscape and they will feel more relaxed and in their nature close to the water. Something to hold the glasses for not loosing them. Sunglasses, sun lotion and something to drink. We recommend to bring prismatics to improve the observation of the birds. After this time, SK Kayak has established that you have up to 4 days before the activity to cancel and get a refund. Pau will contact you once you finish the reservation in order to inform you about the exact meeting point.